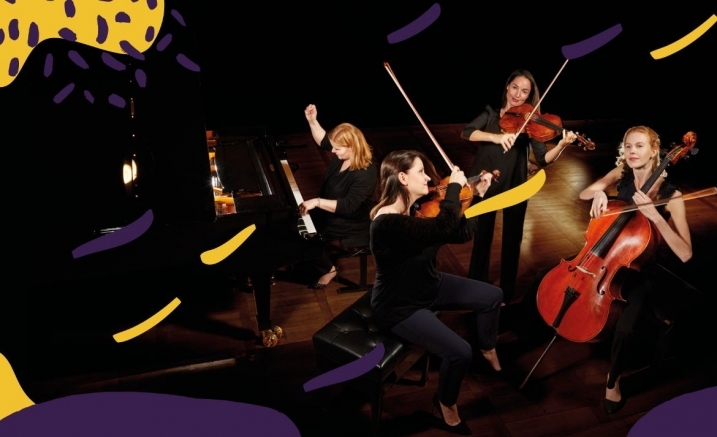 A new classical supergroup of four leading European soloists, the Skride Piano Quartet is sweeping through the northern hemisphere like a breath of fresh air – and is now bringing its dazzling energy to Australia. Sisters, soloists and regular duo partners, Baiba and Lauma Skride sought out two of their favourite chamber music colleagues in Lise Berthaud and Harriet Krijgh. Piano quartets are less often heard than piano trios, but the simple addition of a rich-toned viola seems to inspire composers to create music of outstanding lyricism. Together these stunning virtuosi play with a palpable sense of joy, mutual respect and endless invention.